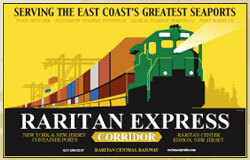 The Raritan Express Shuttle is receiving a broad range of support from state agencies, communities, and transportation companies. We’ll continue to update our site with the latest progress on this exciting project. To download a pdf version of our latest brochure, click here.